Sellers should be aware that most appraisals are solely for sales and insurance purposes. Appraisal values for diamonds and jewelry are inflated well above retail values, often more than double. If your jewelry appraisal seems too high in value and too good to be true, it most likely is. Grossly inflated valued on jewelry appraisals is all too common and misleading the public into believing they will sell their items for values close to the appraised value. Jewelry appraisals are normally not a basis for re-sale or an indication of what you should expect to receive when you sell your diamond. Insurance companies often charge high insurance premiums on the item but can replace items for far less. Jewelry appraisals are often used as a sales tool rather than an accurate basis for determining the liquidation value, wholesale value, or cash resale value for diamonds. An appraisal is a New Replacement Value (NRV) for modern jewelry or a Second Hand Replacement Value (SHRV) for estate or antique jewelry. 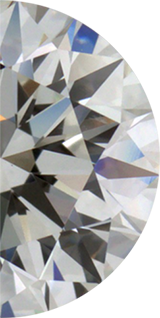 Unfortunately, the majority of appraisals overstate the quality and inaccurately grade diamonds. From our experience, the majority of diamonds sent to GIA after being appraised come back a much lower color and lower clarity grade than the appraiser estimated. An 5.05 ct diamond appraised at F color, SI2 clarity may be graded by GIA as an H color and I1 clarity. The difference in these grades on a 5 ct+ diamond is significant in value and quality. One of the most common inconsistencies between jewelry appraisals and a GIA report is the difference in opinion in assigning an Imperfect or Included (I1, I2) clarity grade or a Slightly Included (SI1 and SI2) clarity grade. Even though diamond grading is somewhat a subjective opinion, most everyone in the diamond business will defer to GIA’s diamond grading standard. When faced with the option to have your diamond graded by GIA or appraised, always choose to send your diamond to the GIA laboratory. Please see the GIA link for more info on GIA reports and jewelry appraisals. Contact The Diamond Trade to learn more about Jewelry Appraisals, the GIA, and online diamond selling.